La Prospera (LaP) was originally owned and operated by Northsun Italia SpA. 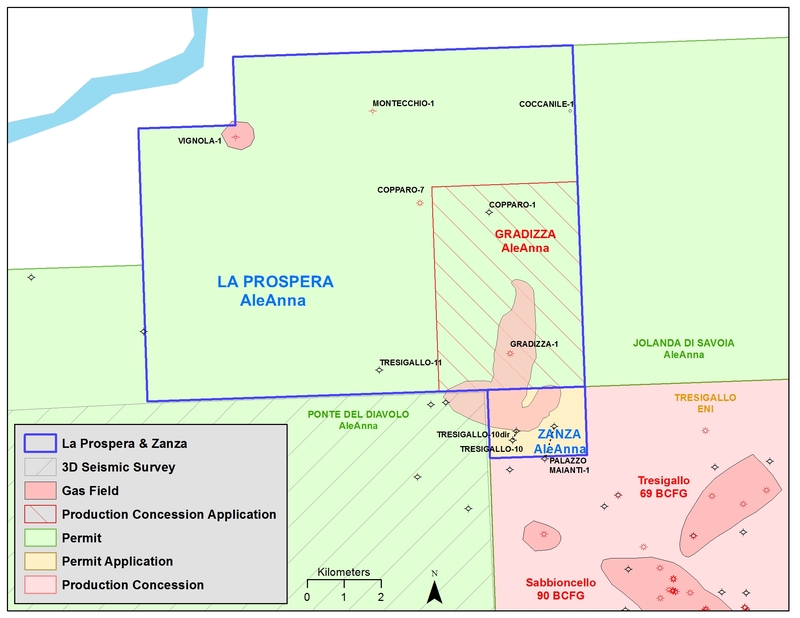 When the Gradizza-1 well was proposed, AleAnna participated in La Prospera and the well at 10% interest. After the Gradizza discovery, Northsun Italia SpA proposed applying for Zanza due to similar Pleistocene potential, with the same working interests. After the well was drilled, AleAnna purchased PVE’s share of both properties. Several Pleistocene leads have been identified on 2D seismic. The Vignola-1 well in NW/4 tested gas at 2.4 MMCFgas/day (Upper Pliocene) but was not completed.